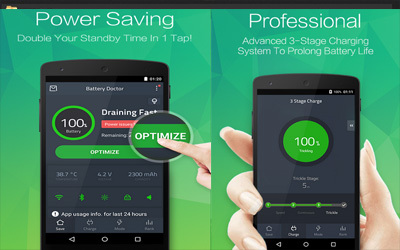 This is old version Battery Doctor 5.26 apk for Android, you can install it if you want to downgrade or install old app. It is top Tools apps from Cheetah Mobile Inc..
You can boost your phone health by reducing the frequency of charging. The features that will be beneficial are the presence of awesome adjustment inside. You can reduce the brightness and other app work to make this app work properly. To ensure that you are using the battery of the app wisely, it will also show you the estimated time of the battery life. This is very good because you can have the tools to measure the productivity of the smartphone. It can be used when you are doing some task, playing game and so on. It is one of the convenient widget that are ever exists. So the app does not come alone. The widget will give you some setting such as the Wi-Fi, brightness and so on. It can give you rapid access to reduce the battery usage. As the additional features, Battery Doctor for android will also give you weather notification especially in preparing your day. Disable unnecessary apps that drain your battery! Save Power Shortcut which kills tasks with one tap! Kill apps when screen is off! Schedule power saving modes for work/class/sleep and more! Unique 3 Stage Charging System! CPU Management (for rooted phones)! Handy weather notifications and local forecasts.